With the huge success of both the Incredibowl i420 and the i420 Deluxe, Incredibowl has now released the brand new Incredibowl m420 Deluxe. This deluxe kit comes packed with everything you need for your new m420, in addition to the m420 itself you receive the super popular glass sherlock pipe, the m420 repair kit to keep your new portable pipe working like new, and the custom Incredibowl carrying case. 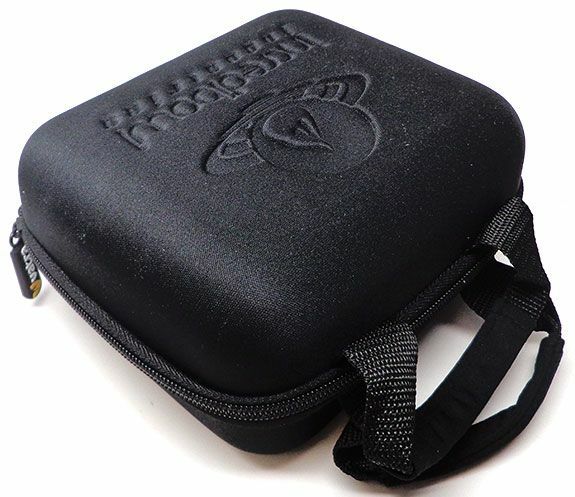 The case securely holds the m420 and all the accessories that come with it for quick and safe transportation. If you are looking into picking up the Incredibowl m420 pipe, this full kit will ensure you experience everything the m420 has to offer right out of the box. 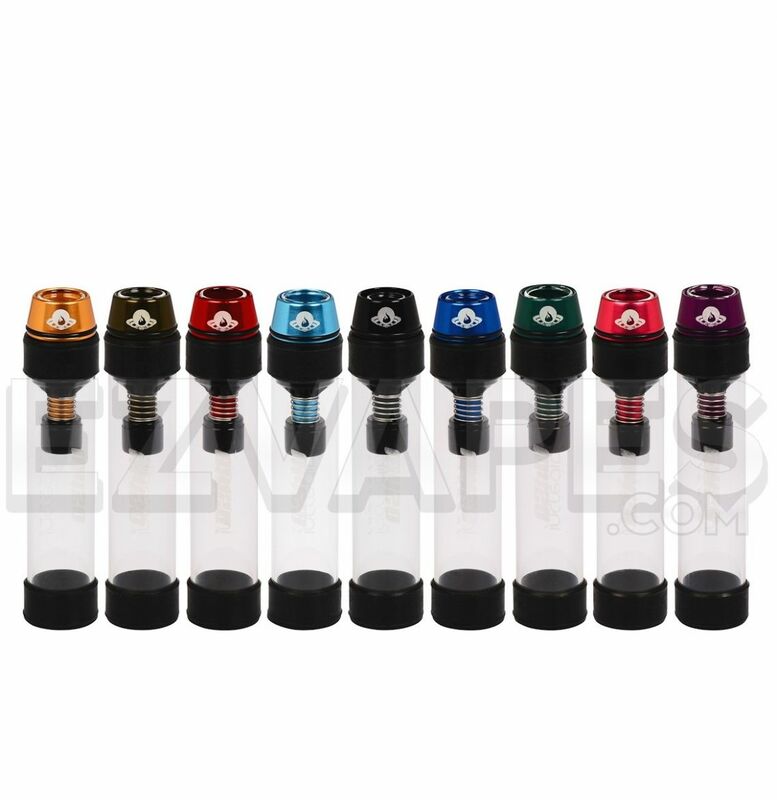 Why buy the Incredibowl m420 Deluxe from EZVapes.com? - FREE BONUS #1: With this 2-Piece Acrylic Grinder ($6 value) you give yourself the option of grinding your material before packing your Incredibowl. Each grinder is even matched to the color of your new Incredibowl when available! - FREE BONUS #2: Heavy-Duty Mini Amber Glass Storage Jar (customer favorite) - only at EZVapes.com! - Incredibowl Accessories: EZVapes stocks all the parts and accessories to keep your Incredibowl m420 working like new. 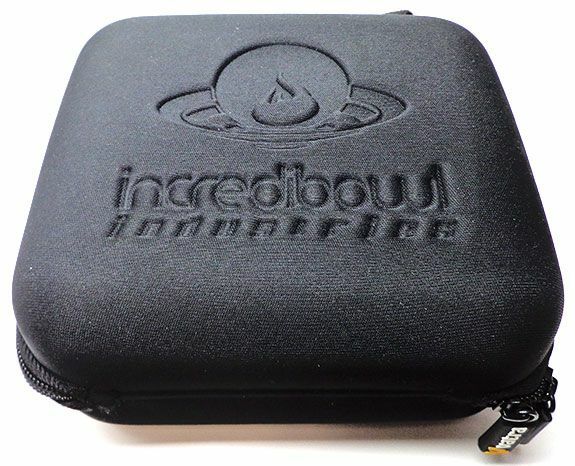 We even have some popular accessories that make the Incredibowl Mini m420 even easier to use, such as the Quick Draw Release System, which stores neatly in your deluxe case. Need a more portable grinder to go with your new m420 Deluxe? Add the extremely durable anodized aluminum 4-Piece Diamond Grind Mini 40mm Colored Grinder to give yourself a grinder with a bottom storage compartment and stainless steel sifting screen! The color of the grinder will even be matched to your m420 when available! Adding the mini colored grinder now saves you $7 instantly! Sherlock a little too much? Try out the standard sized Glass Expansion Chamber to replace your polycarbonate tube! Upgrade your m420 with the Quick Draw Release System and we will send you the matching quickdraw color piece when available! Add the Quickdraw System now to save immediately! 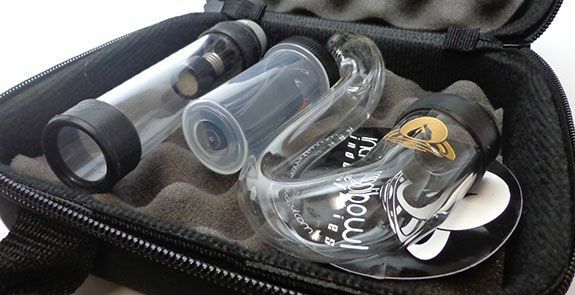 The Incredibowl Vapor Dome Set turns your little m420 into a oil vaporizing powerhouse! This set, in conjunction with the Incredibowl m420 Sherlock Pipe, will have you all set to vaporize your favorite essential oil or concentrate right out of the box. Adding the set now instantly saves you $5! Add one of these four expansion chambers for the Incredibowl Mini to significantly enhance the experience. These expansion chambers are available in 6", 9", 12", and a massive 18" variety. Add an expansion chamber at checkout and save instantly! The 6", 9", 12" and 18" expansions are not manufactured by Incredibowl. The Sherlock Home is a maple wood base to hold the Incredibowl m420 Sherlock Pipe safely and securely either while you are using it, or just storing it away. It comes in a standard design that also holds a BIC lighter(not included) and metal poker(not included), or the Vapor Dome base that holds your m420 bowl and the Incredibowl Glass Poker. Adding either Sherlock Home now saves you $10 instantly! Add the CVault storage option to your order to have the ultimate aroma storage solution. These durable containers create the perfect holding environment for your material, not allowing any moisture out or in. Add the CVault storage option now and save on price instantly! Introducing the brand new EZVapes Rewritable Jar! These convenient little jars hold about 4 grams or more of your material and have an air tight lid to keep everything fresh. In addition, the lid has a rewritable surface that allows you to mark your contents with a dry-erase marker to quickly erase and rewrite when the contents change. Order one now and instantly save $10! Upgrade your storage option to the original Kindstack Supreme! These 4 tier stackable containers are perfect for storing different materials that are not to be mixed. You even receive a 2 part acrylic grinder and the Kindscope, a small microscope with 60x zoom and standard and blue LED lights. Add the Kindstack now and save $13 instantly! Add the Tightvac Pocketvac for a small portable storage option that is also completely airtight! 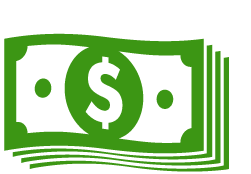 Adding the Tightvac now saves you money instantly! The Incredibowl Mini is made of aluminum with glass parts.